​Buying a house or apartment is likely to be the biggest purchase of your life, so it’s important to have a good understanding and maximise your bang for buck from day one. Small mistakes and misunderstandings can cost BIG later on, and cause unnecessary amounts of stress and uncertainty. Our team has put together a foolproof house-buying guide, with 40 tips to give you everything you need to know. Disclaimer: ​As with all our guides, we have made all reasonable efforts to ensure accuracy. The guidance does not constitute legal advice for your personal circumstances. By using this guide, you do so at your own risk. If you have any suggestions or would like to contribute, please contact our research team. Since 2007, prices across New Zealand have risen to all-time highs, surging in Auckland, Hamilton, Wellington and Queenstown, with significant jumps in the regions as well. This has been led by intense competition for existing property as demands exceeds supply and an ongoing media frenzy, despite record new house building consents being issued. The end result has led to a difficult game for anyone trying to buy. Mortgages often require 10% to 20% deposits, and with the average price in Auckland around $680,000, this can require a deposit as high as $140,000. Today, with new legislation limiting foreign ownership, general uncertainty about capital gains tax and a changing global economy, prices have begun to cool off. Many properties are taking longer to sell than usual, and buyers can take a breath and closely consider when and where to buy without a rush. Buyers should focus on making sure their home purchase is affordable today and in the long term, before panicking and overstretching financially in an attempt to buy into “the Kiwi dream”. Despite what anyone (and everyone you know might be saying), no one can predict what is going to happen to house prices in the next few years. They might go down, they might go up. In the meantime, life goes on. By focusing on financial security first, buyers can avoid a mountain of debt and regret, and instead comfortably climb the housing ladder. Mortgage lending is New Zealand’s biggest debt, and a mortgage will be most people’s biggest single financial commitment, often spanning half of their adult lives. Small differences in how much you borrow can have a massive day-to-day effect on your life. Fearing a housing crash, the previous government forced banks to take a deposit of at least 20% from homeowners in an effort to protect banks if house prices sink. The good news is that this 20% can be paid in cash and/or KiwiSaver money. Our guide to the KiwiSaver First-Home Withdrawal process outlines how to apply for your money. The KiwiSaver HomeStart Grant guide explains how you can get up to $20,000 from the government if you meet certain criteria. In general, the higher the deposit as a percentage of your house price, the lower the mortgage interest rate. While 20% sounds achievable, it’s a huge chunk of money for the ordinary Kiwi - 20% on an $800,000 house around Auckland is $160,000. Our mortgage rate guide explains the best deals currently offered for homeowners with a 20% deposit or re-mortgaging. Mortgage arrangement fee - most lenders waive these, or add them to the mortgage, but $500 is a reasonable estimate. Valuation fees - if you decide to get the property valued before making an offer, you can expect to pay around $500 to $1,000 depending on the home size and specs. Building inspection - this depends on the property, but standard house inspection (3-4 bedrooms) will be around $500 to $750. This won't cover tests like weather tightness assessments, methamphetamine activity and building defects, which will be charged extra. Removals - if you have a spring clean before moving, you'll save - allow around $750 to $1,000 which covers collection, transport and delivery. Repairs - this could range from $500 for an electrician to fix some items to $150,000 for new cladding. Furniture​ - this depends on your taste, and whether or not you go for new or used. We detail these costs in more detail below so their nature is properly understood and budgeted for. A lawyer verifies that the property you plan to buy is in fact owned by the seller and that it's free of legal issues. A lawyer examines the draft contract and supporting documents and raises any issues with the seller's lawyer. A series of legal 'searches' are performed to make sure there are no hidden issues, i.e. is a road planned to be built through the front garden? Was the property subject to a leaky building settlement? ​How much does this cost? Conveyancing fees start at around $1,000 and cover all the land registry searches your property needs. In Christchurch and Wellington, costs will probably be higher due to pre-existing earthquake issues. The lawyer will investigate any restrictions on your property, to make sure you know exactly what you are buying. If the property has a history of issues, your lawyer will need to investigate these, and the cost of the conveyancing will go up. The service ends when you take possession of the property by collecting your keys up from the lawyer. Some banks and credit unions charge a fee to 'apply', 'arrange' or 'establish' a mortgage, on top of the interest rate. Check our mortgage interest rate guide to see which ones do and don't. This fee is non-refundable fee even if you change your mind later on and don't go ahead with the mortgage. The fee is designed to cover the paperwork that comes with a mortgage. You can expect to pay your lender anything from zero to $500. Every lender is different - ask the lender early on in the process so you can budget accordingly. This fee is optional, but recommended to get an accurate value which assists with making an offer. Without a valuation, it's harder to have a firm number, which can be more relevant than websites like QV.co.nz or homes.co.nz. These websites give a CV valuation, but don't offer detailed reports, current market conditions or local expertise. A property valuation is usually between $500-$1,000. The actual cost will depend on many things; house size, location and urgency. Googling 'property valuation' and your location will indicate the companies available - get the best result by looking at reviews and calling for quotes. A typical survey costs between $500 to $2,000 depending on the location or size of the property and the amount of 'optional extra' tests you agree to. Many people pay for building inspections on purchases that fall through, so budget for two or three to be safe. Unless you have minimal stuff and can fit them into a car, or have a close friend or family member with a van, you will need a removal company. Costs vary based on the number of items you own and how far you're moving, but budget around $200-500 for small moves within a town/city, and $1000+ when you have a lot of belongings and are moving long distances. Many new homeowners find they need to DIY a few things which they didn’t expect, specifically plumbing, roofing and painting. Many things are probably passable, but sometimes they are not and fixing them before friends and family come around to visit will need a small sum of money. While it’s hard to budget how much you will need, having a spare $1000 will ensure your property can be touched up/fixed as soon as you move in. This will cover paint, brushes, a visit from a plumber etc. If you currently live in a furnished flat, you're unlikely to own a lot of furniture (if any at all). If you do own furniture, make an estimation as to whether or not it's enough. If you're leaving a rental property for a bigger property, extra beds, bed-side tables, tables, chairs and bookshelves are probably going to be needed. And then there are the less exciting pieces - light bulbs, lighting shades, indoor plants, doormats and plates and cutlery if you don't own any. Many people make the mistake of getting less-than-desirable items as a filler, hoping to upgrade once they're settled in their new house. This can be problematic as priorities once owning a home change and replacing furniture can fall from the top of the list. For this reason, it is worth considering making an upfront investment in items you see as being in your home for the long-term. The upfront cost will be higher, but you'll save the hassle and expense later on. There is no limit - it's furniture after all. Budget around $10,000 for new items (two beds, mattresses, lounge suite and tables etc). If you want to go retro or vintage, the cost can drop drastically. How Much Can I Borrow? - what you can afford is based on your income. 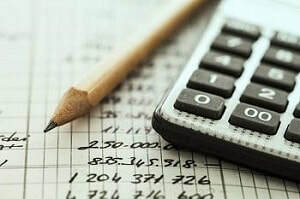 Mortgage Calculator - find out exactly what the cost of a mortgage is per week, month or fortnight, and how much interest you will pay in total. Mortgage Amortisation Calculator - find out how mortgages work and when you'll pay it off. Know this: Banks want to sell mortgages, and while they need to be responsible lenders, there is a risk you could borrow more than you can really afford. 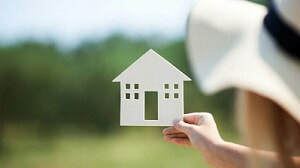 Do your own budget and be realistic – mortgage struggles are rife all over New Zealand (as this article outlines), and it creates a lot of stress and tension in any relationship. Having a manageable mortgage is an undeniable way to live happier. Quite simply, if you over-budget your property purchase, life can become a struggle, and you run the risk of being cash poor and unable to pay for emergencies. It’s pointless having unrealistic aspirations about house hunting. While a fair few homes are marketed as auctions, you can easily find out a price range from the agent. Be prudent – there’s no point in wasting your time and the seller and agent’s time if you can’t afford the price. Agents will remember you, and it may cost you later on. ​"I offered a reasonable sum of money for a house in West Auckland, but then after thinking about it I changed my mind. I ignored emails from the agent, so eventually they dropped me. I then went to visit another open home in the same area, loved the house and then made an offer before finding out it was the same owner! He wouldn’t deal with me unless I put down a non-refundable deposit. I got the place but was on the back foot throughout the process. Learned from that one". Expert Tip - You can also search the address, and use Google cache to see deleted property adverts with all the pictures and prices. Research the area, look online and in the newspaper, contact agents. Talk to banks and/or a mortgage broker to get a loan amount in principle. A mortgage in principle is the loan amount you will be able to take from the lender. Having a loan amount in principle makes the buying process faster and easier, as you know what you can (and can’t) afford from day one. We cover this in more detail below. Visit an open home, ask questions and take photos. This includes getting a valuation report and builders report to check that everything is as it should be. This takes around seven days. Once you’re happy to proceed, inform the agent what your best price is, and specify any conditions you may have (i.e. move in date, leaving an existing trampoline etc). If it is, great. If not, you can continue to negotiate if you really have your heart on the property. Once accepted, hire a lawyer to do the conveyancing and draw down on the mortgage when needed. Your solicitor checks any legal issues and raises any issues with you, as well as receiving the mortgage funds from your lender to settle the purchase later on. At this stage, you pay a deposit and have a contract to settle the purchase price at a specific date ('Settlement date'). ​You transfer the money to your lawyer in most cases, who then passes it to the seller’s lawyer. You, in turn, receive the keys to the property and the deeds to ownership – the property is now legally yours. Have at least a 20% deposit for the value of the property. Are not a bankrupt or under the supervision of the Official Assignee. The 'suitable credit score' factor is important, and to make sure the credit history lenders see is correct, it's worth spending $10 to $20 to access your credit history. Read our credit score and credit history guide for more information. 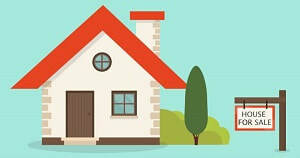 Banks offer a 'mortgage in principle' (MIP) which is a provisional amount you can borrow once you find a property. This lets you shop for a home within the dollar amount. An MIP has a time limit, and does not fix the interest rate you’ll be charged. Having an MIP in place gives you the confidence to make an offer, as any offer you make will not be conditional on financing. How does an MIP work? Matthew and Sarah go to their bank and ask for an MIP. They show their bank statements, pay slips and show that they have a $150,000 in savings and KiwiSaver balances that they can use for deposit. The bank assesses everything and gives them an MIP of $600,000. This allows David and Sarah to look for a house of up to $750,000 (their deposit of $150,000, plus the $600,000 MIP). If you prefer to talk to someone who is not a lender, making an appointment with a mortgage broker can be helpful. Besides working for you to find the best mortgage deal, they can give you an idea of how much you can borrow. Our guide to mortgage brokers outlines the number of benefits they offer. When your mortgage deal expires, it will usually jump to the bank’s floating interest rate. 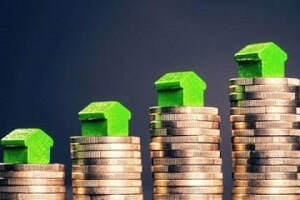 In almost all cases, the current mortgage rate deals will be much cheaper, between 1-3% currently. You can compare the difference between the floating/standard rate and the latest 2-year or 5-year mortgage term deals by using our fixed vs floating mortgage calculator. As an example, a fixed rate of 3.99% compared to a floating rate of 4.99% on a $300,000 mortgage will save you $170 a month ($2,040 over one year). It’s big money, and you should mark in your calendar a reminder a month or two before your current mortgage expires so you can research the best deal and switch with precision saving you money. Our mortgage rates guide lists the latest deals. 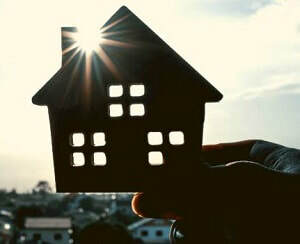 ​As your property is your largest purchase, location location location what matters most. You may love the home, but if you don’t love the area you will never be able to move it. A five-point plan of attack is needed to avoid problems or disappointment later on. Visit the neighbourhood at different times, specifically in the evening after work and during the weekend and be on the lookout for clues. Is there a lot of graffiti? Noisy cars/traffic noise? Traffic jams? Do you like the local shops? Is there a supermarket close by? Public transport? What are the restaurants and bars like? Are the cars clean and well cared for, or burnouts? Are there local parks for families, playgrounds, quiet, safe roads? You can even have a holiday in the area by booking an AirBnB for a night and survey the area, asking your hosts what it’s like. It’s not creepy – the investment justifies your research. The Police give statistics on crime, so look at these. Also, check the government school reports to see the school decile and achievements. Google the area, searching under 'news' to see what exactly has been happening. New Zealanders love a north facing property, with plenty of sun and the idea of a perfect lifestyle. To see when the sun hits your house (and leaves it) at any time of the year, check out SunCalc.org. Any day of the year is covered, so you know exactly how much sun you’ll get on cold winter days and warm summer nights. This may be an obvious step, but Google can reveal the most surprising things about a property, from crime information to old photos and real estate agent listings. Before you go into any property sites or buy valuation reports, a simple eye over the search results will better inform you of the basics. ​​The internet has made the Property Press and Real Estate office windows far less relevant, and do not be intimidated by asking prices as there is a big difference between what a seller wants and what they will get for their property. To be in the know, register with local real estate agents who can then give you first dibs on a new property. This gives you the upper hand, and beats waiting for it to show online. Popular websites include Trade Me Property (arguably the biggest collection of listings), realestate.co.nz, oneroof.co.nz and QV.co.nz (Valuations New Zealand). Before you make an offer, you need to ask key open questions and get the answers in writing if possible. When it comes to buying a property, information is your biggest advantage! Where are the owners moving to and why are they selling? How many people have viewed it and how many offers have been received? How much is a power bill in winter and in summer? Have there been any problems with the neighbours? What renovations or modifications have been done, and are they in compliance with local council regulations? How old is the hot water cylinder and is there a warranty on it still? If you are buying an apartment, what is the body corporate fee? How long has the owner lived there? What exactly is included in the sale, i.e. curtains/shades, white goods, fireplace? What is the parking situation, and is on-street parking safe? Have there been any structural, subsidence or liquefaction problems? What's the council rates bill? What is the broadband speed like, and who is the provider? Has the property ever had a fire/flood/earthquake damage? Does the street have a lot of families, or is it mainly retirees? Is there an active Neighbourhood Watch group in the street/area? If you have children or planning to start a family, where do local children play? If you know of anyone who lives in the area, even a friend of a friend, visit them or set up a coffee with your friends who know them. Basically, ask around – everyone knows someone – so you’ll be sure to get the best insights if you put in the efforts here. Ask what the area is like, ask what the seller is like (if they know of them), and ask what changes are likely to happen in the area over the next few years. It’s unlikely the house you buy will be the one you live in forever. You may want to go for the lifestyle block with the long commute, but it will be a lot harder to sell than a four bedroom house close to good schools. Ease of resale is really important. And it’s not just location, it’s also the aesthetics of the house. No one wants a house with a bathroom attached to the kitchen, nor do they want a house with a neighbour’s spa pool humming loudly beside the master bedroom. What you tolerate is not the same as the people you're potentially buying from. Approach house buying without emotion and the outcome will be better. "My brother and I spent a lot of time and money renovating a beach house both our families could use. However, our kids got older and married and by the time we wanted to sell it there wasn’t much of a demand. We had spent more than we sold it for, and that’s before taking into account our time invested. Location really is everything". "We bought an apartment with a big support column through the lounge. It was significantly cheaper than the other apartments on the plan, but I know that when we sell it, that column will be talked about!" A property that’s been for sale for a while can be a red flag. Is something not quite right with the street, the neighbours, the noise or something else? Ask the agent how long it has been listed for. While market conditions throughout New Zealand may explain houses sitting there, it's in your interests to find out exactly what the story is. When you visit an open home, taking photos is important, but doing an inspection is critical. We’ve outlined some must-dos to tick off for every viewing. As you see more houses, you’ll become an expert! Make no apology; you’re investing hundreds of thousands of dollars, so checking everything out thoroughly is essential. Check doors, windows and drawers – make sure they open and close easily, and aren’t lopsided. Problems will be easy to detect, and you can make it a stipulation the owner fixes then before you move in. Spot mould and dampness, and feel for drafts – houses all over New Zealand suffer from insulation and dampness. Is the wallpaper peeling? Do you see condensation in windows? Are the wardrobes and cupboards musty? Sniff around, and look under doors for gaps where drafts could come in. Inspect walls and ceilings – are there cracks, drips or stain? Turn on switches – make sure the lights/circuits work, the oven works. Check for plugs – if you need a lot of charging stations, where are they? Conveniently placed or hidden away? How many are in the bedroom? Check they work by plugging in your phone. Inspect the plumbing – Kiwis love shower pressure and hot showers, so don’t be afraid to run the shower to test it. Also, how strong is the toilet flush, and how fast does it refill? Does the sink drain quickly? Locks – how secure are the locks? Deadlocks, keypad or simple turnkey? Lift up rugs/carpets/mats – is that oddly placed rug covering a nasty stain on the carpet? Mobile coverage – turn on your phone, how many bars do you see? Can you stream a video? Audit the attic - is there mould, leaking or other problems hidden away? Observe the outside walls – how is the painting, are there cracks or rot? Look at the roof – missing tiles? Are the gutters full of rubbish? Do they leak? Space – is the kitchen big enough for your needs? There is nothing worse than a poky kitchen when preparing a meal for a big family. Look next door – if the neighbours have overgrown lawns, rundown exteriors, broken windows, then something isn’t right with the location. Cars on the lawn – is anyone parking their car on the lawn? This annoys many New Zealanders, so it’s important you know what the neighbours do. Take a view on the seller – if they are listing their property “to feel wealthy” or lack the intention of selling, ditch it and avoid wasting time and money on fees. ​An open home is the best opportunity to photograph the property, so after politely asking the agent if it’s OK to snap away, take photos of everywhere you visit. Re-visiting the same rooms/areas in the same viewing helps you take more in, beyond what you photographed. Best of all, the photos will be useful later on when you’ve visited a few properties and need to be reminded. Also, if the open home timings vary, visit at different times to see how much sun comes and any flaws in the home, whereas early evening indicates better as to what the neighbourhood is like – does the neighbour blast techno when he gets home from work? If you like a certain area and can’t find the house you want, it may be worth junk mailing a street you would like to live in with a letter saying you want to buy a house. Most of the letters people receive looking for property are from real estate agents, so such a letter would stand out. Your sincerity may strike a chord with someone who was thinking about listing their home. It’s worth a shot; private sales aren’t common in New Zealand but things are changing slowly. As the saying goes, people spend other people’s money freely, and body corporate management companies are no exception. If you're buying into a body corporate, you will have to pay annual fees for the upkeep of the property, running the lifts, common space repairs, building insurance and a host of other things. Property management companies have the right to select insurance, services and maintenance contracts that pay the most commission - delivering the best value may not be top of the agenda. Beyond verifying the annual service charge, ask for financial statements so you know exactly what time of position the property is in. If there is no spare money for improvement works, then you as the owner will be liable for a share which can be tens of thousands of dollars. 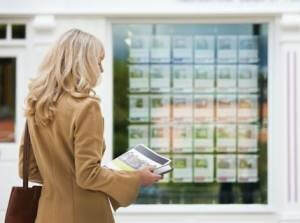 Apartment hunters MUST get annual charges in writing before buying. Top Tip - A Google of the property management company is a great way to understand if there are any issues. Does it have complaints, a troubled director, or a bad history? You are free to ask apartment owners in the same building their views on the service provided – is it excessive, slow, substandard or dismissive? Google “best conveyancing solicitors NZ” – have a look for reviews. You don’t have to pick a local lawyer, although it may help if you want to meet face to face and sign a sale and purchase agreement. Know the details of your purchase (number of mortgages you will get, whether the property is leasehold or fee simple etc) to get the most accurate quote. Don’t go for a bargain package – reputation and experience are everything for such an important and high-value transaction. Look for a lawyer/law firm who is experienced in conveyancing. Ask for a FULL fee breakdown, making sure all the costs are covered (search fees, postage, photocopying). Ask if they have planned holidays – this is really important. If they’re going to be away golfing in Queenstown when your settlement day is scheduled, go with someone else – you’ll need consistency and only one contact to minimise the risk of something going wrong. The last thing you want is to find out is that the old house beside you is going to be bulldozed for a three-story apartment block to be built. To know exactly what’s going in the area, contact your local council and ask them to provide you with all and any resource and building consents. It’s best to be aware of these things than stuck beside a building site or have your backyard overshadowed by a new development. Auctions, Agents and How Much to Offer? The excellent Settled.govt.nz outlines very specific details about the auction process. An overall guide to making an offer sets out everything to consider before coming up with a number. If you work with a mortgage broker, they can also offer information about navigating the offer and auction period. A property purchase is a big deal to you, but to a lawyer, it’s a standard transaction and not their number one priority in the weeks before you take possession. You don’t want surprises, so it’s best to check in with them if you’ve not heard from them for 3-5 days and they’re not waiting on anything from your side. Lawyers don’t like being hounded, but if you feel as if your lawyer is dragging their feet, give them a call and ask them where your file is at. In Section 1 of your Agreement for Sale and Purchase there will be a specification to list the chattels that will be included in the sale. These include items like a stove, fixed floor coverings, blinds, curtains and light fittings. You must specify other chattels you expect to be included, such as heat pumps, aerials, heaters and garage door openers. Don’t be caught out by not knowing what you’re buying - be thorough with what will be included, and get the list signed. Removing a fixture without agreement may delay settlement or cause the purchaser to claim compensation. A seller is not permitted to remove an existing chattel and replace it with another one of lower value. Backing out of a property purchase is a big decision and there are a range of financial penalties should you do it. Every sale and purchase contract will list out conditions of the sale, including a schedule of penalties should either party, i.e. seller or buyer, change their minds. If you want to back out once the contract goes unconditional (i.e. you both sign it), you will be liable for financial penalties per the agreement. Because you will be breaking a contract, it's essential to get legal advice before backing out of the contract. If you have signed the contract but your financing has fallen through, or a change in circumstances means you can no longer get a mortgage, you will need to see legal advice. Auctions can be tricky, and it's always unwise as a potential buyer to sign an unconditional contract (or waive the right to a cooling-off period) if financing is not in place or there are doubts about financing overall. If you have any concerns or questions, talk to your lawyer handling the conveyancing. If the building report finds problems, ask a trusted builder for a quote to make the repairs. You can then ask the seller to either fix the issues before you exchange or ask for a discount off the final price. If there are issues with damp or not, get a couple of professional opinions to make sure you’re not caught out when you take possession. Leaky buildings are complicated - this guide from the Home Owners and Buyers Association Inc (HOBANZ) explains what your rights are, and appropriate next steps. Their team can be contacted for assistance. Where is the valve to shut off the water, and where are the electrical meters? What day is rubbish day? Do any floor surfaces need special cleaning products? Do you have spare paint cans that are the same colours as the interior/exterior walls? It’s likely you will need a moving company - have a ring around local operations and look for some Google reviews. If you’re buying your first property, you might have less stuff to move, so it's possible you could get away with a man with a van and help from some friends. Make sure whoever you use is reliable – being stranded on move day by a no show is going to be a nightmare. Packing takes longer than you think, and it’s a good chance to sort things out and throw away/sell what you don’t need. With a moving date fixed, if you can make the time you can make your move easier by selling what you don’t need or use well in advance. Our guide to Trade Me Selling outlines everything you need to know to turn surplus into cash, without the hassle of garage sales or selling on Facebook. Even if you are unfamiliar with Trade Me, it's super easy and cheap to use. You’ll need home insurance before you settle – get quotes as soon as possible so you’re protected from day 1 of owning your new property. Get as many quotes as possible - our Home Insurance guide covers everything you need to know. You will need to estimate the rebuilding cost of your new home, which our home insurance calculator can assist with. Having a mortgage is an enormous undertaking and an ongoing financial commitment. If you have a family who depends on you, life insurance can be a popular option to protect them should the unthinkable happen to you and/or your partner. Our guide to life insurance explains how to determine if you need life insurance, then compares a number of options and outlines what to look for in a policy. Don't assume your current providers offer the best deal - moving home is the perfect opportunity to switch and save. We are working on guides for both power and broadband comparisons - in the meantime, Google and Consumer's PowerSwitch can help you land the best deal. Important - it’s essential that you take electricity meter readings when you move in so there are no disputes later on. If you don't, you can be liable to pay for electricity used after the previous occupants cancelled their bill...and that could be significant. If you need additional furniture, don’t pay top dollar from a furniture shop when you can save $100s or even $1000s by going online. Banks will offer all sorts of insurances such as mortgage, income protection, home, house and contents – they are unlikely to be the best in the market, nor the cheapest. Politely consider the policies, but don’t be under any obligation to say yes to what they offer – their aim is to make more money from you, not provide you with the best deal. We believe many banks sell insurance policies without full consideration of your needs, and this is frequently reported by the media. In summary, we suggest avoiding their insurance products in their entirety.